Porsche recently re-branded their Boxster and Cayman as the 718 for the 2017 model year. The executives and marketers at Stuttgart decided to shift the designation in order to align the vehicles more closely with their predecessors and historical lineage. While much of the video simply addresses the cars’ specs and alterations, the opening sequence provides some interesting historical information regarding the 718 and the impetus for the re-branding. For instance, the video notes that the 718 “enjoyed great success at legendary races during the 50s and 60s,” such as LeMans, Sebring, and the Targa Florio, among other interesting tidbits. At approximately the 2:00 mark, a profile shot of an old 718 appears on the screen. This glimpse of the original model clearly demonstrates the unmistakable design lineage, especially in the front half. At the 2:38 through 2:44 marks, shots of both the older convertible and coupe versions appear, further exhibiting the visual similarities between yesterday and today. Of course, the video does articulate one complaint: the vehicle’s sound. At the 3:50 mark, there is a back-to-back comparison of the 2016 Cayman GT4’s flat-6 with the 2017 718 Cayman S’s turbo-charged engine. You can decide for yourself whether or not the sound difference is marked, as well as how much that means to you. Although the new, 4-cylinder, turbo-charged engine delivers more power, torque, acceleration, and fuel-efficiency, Sutcliffe also bemoans the sound of the exhaust with the move away from a flat-6. If the level of “aural delight” an engine produces is a make-or-break issue for you, fear not. Porsche engineer August Achleitnerannounced that Cayman GT4 and Boxster Spyder versions each will be released with naturally-aspirated, flat-6 engine that, assuredly, will possess the same rumble as last year’s models. 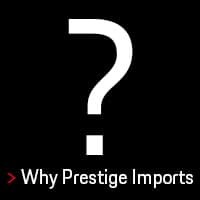 If you’d like to test drive a new 2017 718 Cayman or Boxster, stop by Prestige Imports at 9201 West Colfax Avenue. 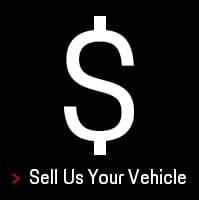 We’re located between Wadsworth and Kipling in Lakewood. 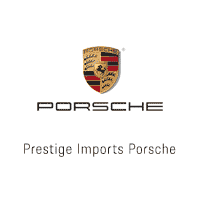 Likewise, you can call us at 888.737.1724 to schedule and appointment with one of our Porsche Brand Ambassadors. 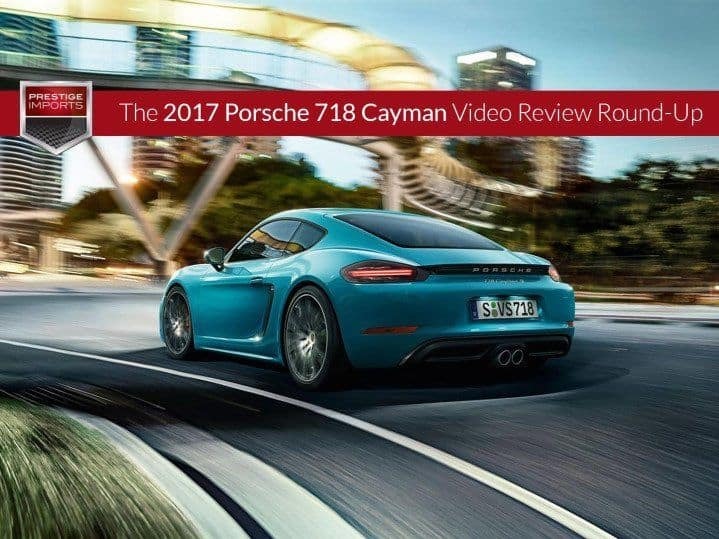 The article 2017 718 Cayman: A Video Review Round-Up originally appeared in the Prestige Imports Learning Center.